It’s hard to think of two projects as different from one another as Extremely Wicked, Shockingly Evil and Vile and Conversations With a Killer: The Ted Bundy Tapes. Both are about Ted Bundy, the notorious serial killer who murdered dozens of women in the 1970s and whose trial in the 1980s was a notorious media circus, but the resemblances stop there. Extremely Wicked, which is premiering at the Sundance Film Festival, is a feature film following the murderer’s long-term relationship with Elizabeth Kloepfer: It never shows his killings, and allows the audience to feel, at least a little bit, the same ignorance as Kloepfer (Lily Collins). It also provides Zac Efron with the role of his career as Bundy; he brings to the killer a disturbing level of sociopathic charm. Conversations With a Killer, on the other hand, is a dense and informative four-part Netflix documentary series, structured around audiotapes that Bundy made in prison in which he detailed his crimes (albeit in the third person). Here’s the unexpected part: Both movies were directed by Joe Berlinger, the legendary documentarian who, with his late colleague Bruce Sinofsky, made Paradise Lost: The Child Murders at Robin Hood Hills (as well as its two sequels) and Metallica: Some Kind of Monster, among many other films. Extremely Wicked represents Berlinger’s second foray into narrative filmmaking; his previous effort was the ill-fated 2000 sequel Book of Shadows: Blair Witch 2. Together, the two projects make for a fascinating pair of very different perspectives on Bundy, showing us how someone like him could get away with his crimes for so many years. I talked to Berlinger recently about how these projects came to be, and how he views the Ted Bundy story. How did you wind up making two entirely different projects about Ted Bundy? I was not initially looking to tell Bundy’s story. The fact that everything is now happening on the anniversary of his execution might seems like a grand master plan, but it really just sort of happened. The Ted Bundy tapes landed on my desk in January, February of 2017. I listened to the tapes, and I felt like there was a unique opportunity to tell the story anew, by entering into the mind of the killer. At the same time, I had been interested in getting a scripted movie going, but I wanted something that would tap into my experiences. The Michael Werwie script for Extremely Wicked had been kicking around Hollywood for a while; it was on what’s called the Hollywood Blacklist. My agent at CAA sent me the script, and I remember flying home from L.A. and I texted him from 30,0000 feet: “Oh my God, I love this. I love the perspective.” So this is now the second week of April of 2017, and I’m already working on the docuseries. It feels like the universe is tapping me on the shoulder, saying I’m the guy to tell the Bundy story. But getting a movie made is a lot of work, especially a script that’s been kicking around forever, so God knows when [Extremely Wicked] would actually get to be made. I thought I was taking the first baby step toward something that I might shoot two or three years from now. I thought this was going to take years, but from the time I was sent the script to the point where it was a go-movie with a star attached, that was about six weeks. It’s unheard of in this business. So it’s kind of coincidental that you wound up directing both. But at the same time, you’re coming into this project as the guy who’s also making a four-hour documentary about Ted Bundy. Did you wind up making changes to the script? Michael Werwie’s original script is terrific, and it’s still the heart and soul of the film, but I focused it in a way. The original script had much more of a Catch Me If You Can tone, and it was much more dependent upon our not knowing it’s Ted Bundy until the very end. At the trial, it’s a reveal that it’s Ted Bundy, and that was part of the charm of that script. 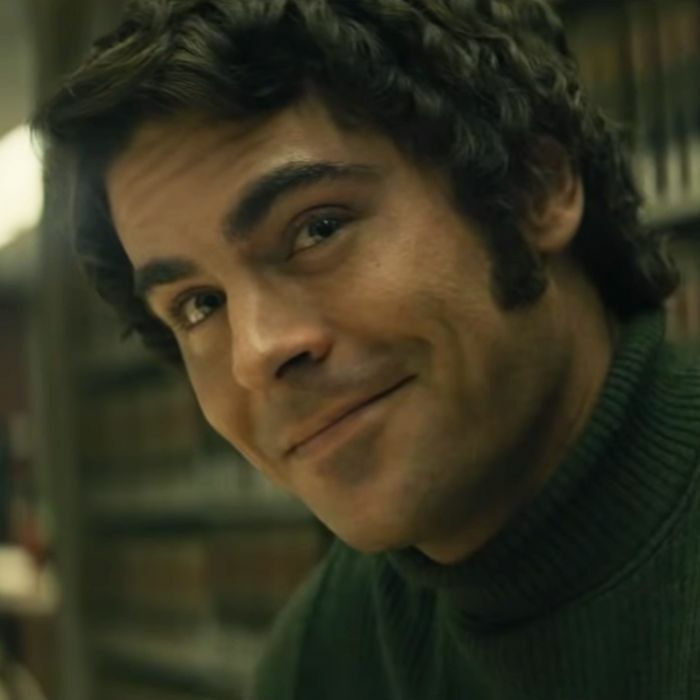 But it had already been announced that Zac Efron had signed on to play Ted Bundy at Cannes. What I wanted to do with the film was to push it to a slightly darker place, and to give the audience the experience of what Lily is experiencing. Even though you enter the film knowing it’s Ted Bundy — because every entertainment publication on the planet says that Zac Efron’s playing Ted Bundy — I want the audience to almost suspend that knowledge intellectually, so that they can have the emotional journey of Lily’s experience. The film, at the end of the day, is about deception and betrayal, about how one becomes a victim to this type of psychopath. Also, my filmmaking in true crime really has a layer of social justice. I advocate for criminal-justice reform both as a filmmaker and in my personal life. I advocate for the wrongfully convicted. I advocate for victims’ rights. I think my most well-known work is Paradise Lost, and I have a show on Starz called Wrong Man that looks into wrongful conviction cases. So, I thought it would be fascinating for me to look at the inverse phenomenon because Bundy is like the quintessential guy who everyone thought was innocent. He also is extremely believable, which is how he gets his victims. Regarding The Ted Bundy Tapes, it’s fascinating that Bundy couldn’t discuss his killings in detail until he could talk about them in the third person. That seems like such a specific pathology. The third-person thing, I think, is explainable because he was so steadfast in his denials. He was in the midst of his appeals process, so he didn’t want to speak in the first person and implicate himself legally. But psychologically speaking, he’s such a narcissist and he was so impressed with himself that the opportunity to speak in the third person and describe his acts, which is a de facto confession despite not having legal implications, was too irresistible to him. That need to be recognized was more important to him than the more surface goal of his appeals process and trying to prove his innocence. After these two very different projects about Ted Bundy, do you feel like you understand him? I can never understand what he did, but I understand how somebody like him exists, because for me, it’s about the ultimate unknowability of the person next to us. Bundy is the ultimate enigma. I still don’t understand how somebody could do what he did. But he’s a three-dimensional human being, and I wanted to explore all sides of that three-dimensionality. In the docuseries, it’s about hearing from him so that we understand how women can be seduced by that type of evil. Bundy is evil, but he’s also capable of loving. I know people will disagree with me, and they’ll say, “A psychopath isn’t capable of love by definition.” But I think he had a need for normalcy and a real compassion for Liz for whatever reason. I think psychopathic behavior is on one long continuum. There are people who are just mean and jerky to one another and that’s a certain type of sociopathic behavior, but they get away with it because they don’t do anything criminal. There’s the CEO of a polluted corporation who goes to bed at night knowing he’s killing 20,000 people, or the people responsible for opioids, but they go to bed at night and I’m sure they have loving children and wonderful families. On the farthest extreme, you have Ted Bundy. All of my work is about exploding stereotypes and understanding what it is to be human. The big mistake that people make with serial killers — the big lesson of Bundy — is that we want to think these are two-dimensional human beings. We want to think they’re easily identifiable in society. But Bundy himself says, “Killers don’t come out of the shadows with long fangs and blood dripping off their chin. They’re people you know that you like, that you admire.” That, to me, fits in with all of my work, wanting to understand what it’s like to be human. When you go into a narrative project knowing so much about the subject, is it hard to put yourself in the mind of a viewer who’s being exposed to this story for the first time? As a filmmaker, you have to stay true to what the objective is of your particular film. Bringing the audience into Liz’s perspective really drove every decision in [Extremely Wicked]. When you read the memoir that this is based on, over the seven years that they were together, Liz had some clues that she dismissed — she found crutches, even though he hadn’t broken his leg, and she found a knife in his glove box. But this is an example of how you have to serve the objective of your film. There are certain rules in narrative filmmaking that don’t apply in documentary, and there are certain rules of storytelling that are different from real life, obviously. A few incidents over a six-year period in real life is very different psychologically than an event in the extreme compression of time in a movie. In a movie, if we see her ignoring these clues, she’d be like the dumb person who walks into the haunted house. Exactly. She’d have no credibility as a character, because if you see something in minute ten, that’s it for the rest of the movie. But in real life, if you find a crutch or a knife in 1970, but then 1971 goes really well, it’s just a different thing. A number of your documentaries have turned on your discovery of something new, or circumstances changing. Metallica: Some Kind of Monster started off as a very different project, but then the band went into therapy. You started off making Paradise Lost assuming the West Memphis Three were guilty, but you soon realized otherwise. Is it hard to maintain that willingness to go where a story takes you? That’s the joy of a particular vérité filmmaking: You jump out a window and hope there’s a mattress on the other side. That’s the No. 1 lesson I tell filmmakers, using Paradise Lost as an example: If you lock into a preconceived idea of what your movie should be, then you often miss the story. With the scripted film, obviously it’s a little different. But I still feel like what I as a documentarian brought to this project was a sense of authenticity, and an understanding that things on a film often don’t go the way you expect. I always came to set prepared to do one thing, but totally ready to shift, because the lesson I’ve learned from reality is that you can’t control it, and it often changes. You have to go with it to capture the essence of what you’re there to do.